This recording is a reflection of my life. I grew up with swing, jazz and the great American standards playing in my home. When I was invited to sing with The Classic Swing Band I was delighted to have the opportunity to sing the music I loved and to be able to share my heart through these songs of love and life. 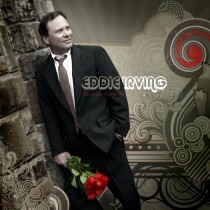 I hope this CD will tug at your heartstrings as you listen and enjoy the romance it stirs within you.